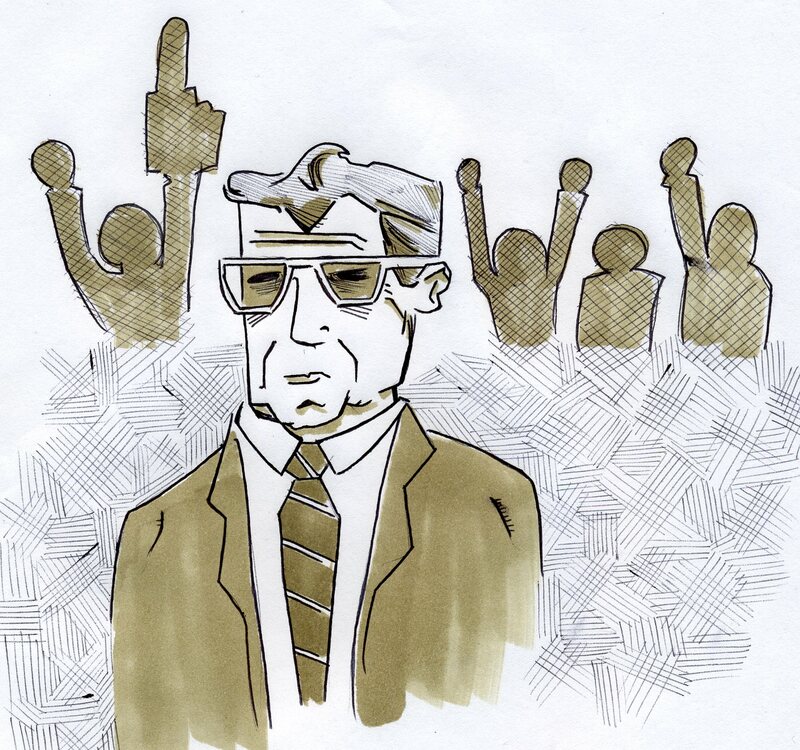 For todays drawing I drew Joe Paterno. A little while back I created a more finished version of him for a spot illustration about the scandal from a couple months back. It was about Penn State and the Sandusky scandal. 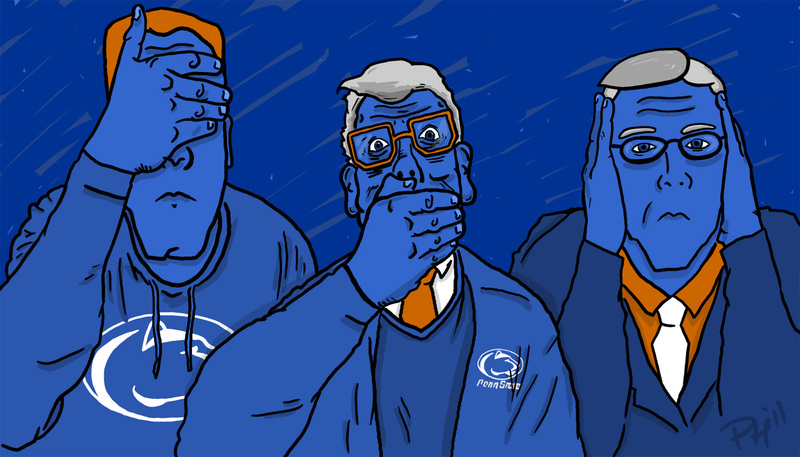 It is an illustration of Mike Mcquery, Joe Paterno and Tim Curley. Obviously I didn’t make it using a ballpoint pen and a marker but I thought I should post it along with todays drawing since its related. I don’t personally like to let my feelings about the whole thing be known, but I think this illustration turned out nice. I don’t like to think that anyone could allow kids to get hurt. I like to hope that he didn’t know much and honestly did as much as he could, but who knows. < Video Game Beer Coasters!